Macedonia is at a crossroads, with an upcoming referendum on the conditions imposed for EU and NATO membership promoted by the prime minister but opposed by the president. Macedonia has been invited to start accession talks with the European Union (EU) and North Atlantic Treaty Organisation (NATO) following the Prespa Agreement between Greece and Macedonia. The referendum for changing Macedonia’s name and constitution in accordance with the Prespa Agreement is set for 30 September 2018. On the surface, it appears that a win-win outcome can be achieved for NATO, the EU, the Hellenic Republic and the Republic of Macedonia. Closer scrutiny reveals major flaws in the proposed expansion plan. Since 1991, the Hellenic Republic has abused its membership of NATO and the EU to prevent the Republic of Macedonia from joining these institutions if it does not meet its concerns and demands, including around Macedonia’s name. Its entry into NATO was blocked in 2008 by Greece at the Bucharest Summit. Macedonia’s major political parties have placed entry into NATO and EU as top strategic priorities. In the 1990s, Macedonia strongly supported NATO missions in Bosnia, Kosovo, Iraq and Afghanistan. More recently, Macedonia played a major role in implementing EU border control policies and in helping refugees fleeing from Syria and the wider region. The Prespa Agreement undermines the rules-based international order by rewarding Greece’s bullying. This sends the wrong signal to the world. It is incompatible with norms of rule of law, freedom, democracy and human rights. It breaches the UN Charter by denying the Macedonian people the right to self-determination and by demanding the adoption of a new name, the ‘Republic of North Macedonia’ and massive changes to the constitution and its sovereignty. The agreement is deeply asymmetrical in that it gives the Hellenic Republic power to claim exclusive ownership of Macedonia’s history, culture and identity, completing the project it has implemented since 1913 when it took possession of 51 per cent of Macedonian land and people from the crumbling Ottoman Empire. The chief architects of the Prespa Agreement are the United States and its NATO allies working in partnership with the European Union. The Secretary General of NATO has supported the agreement. 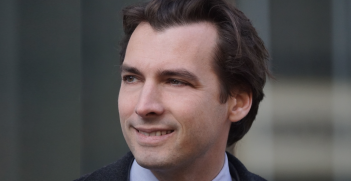 Considerable pressure has been applied to both parties, especially the Republic of Macedonia, to reach a diplomatic solution at any cost to Macedonia for the so-called ‘greater good’. The evidence from Greece, Bulgaria, Albania, Romania, Croatia, Hungary and Poland tells us that joining the EU and NATO does not automatically lead to economic prosperity or improved security. The US State Department is using USAID to promote the successful implementation of the referendum on the Prespa Agreement. Its Ambassador to Macedonia from the Obama era has been a strong and outspoken proponent of the agreement. This is at odds with US policy on the recognition of the Republic of Macedonia under its constitutional name and implementation of the Strategic Partnership between the USA and Macedonia. Regionally, Turkey’s President Erdogan opposes the Prespa Agreement. He has indicated that Turkey would block Macedonia’s entry into NATO if its constitutional name and sovereignty is not retained. Russia’s President Putin also opposes the expansion of NATO and the EU into Macedonia and rejects the conditions that are placed on it. With China busy financing and building major infrastructure projects in Macedonia, it has always been concerned about undue foreign interference in sovereign states by the US and its allies. In Macedonia, the Prespa Agreement is supported by Prime Minister Zoran Zaev and his government. There has not been any serious analysis, compelling research or community support for the agreement. The regime is allegedly using the intelligence, police and judicial system to intimidate opponents to support the agreement. Most vulnerable are public servants, business owners and academics who risk losing their income if they speak out. The regime is also closely following the activities of the Macedonian diaspora and promoting its agenda on social media platforms. I estimate that over 99 per cent of the Macedonian diaspora strongly oppose the conditions placed on Macedonia in order to become a member of NATO and the EU. 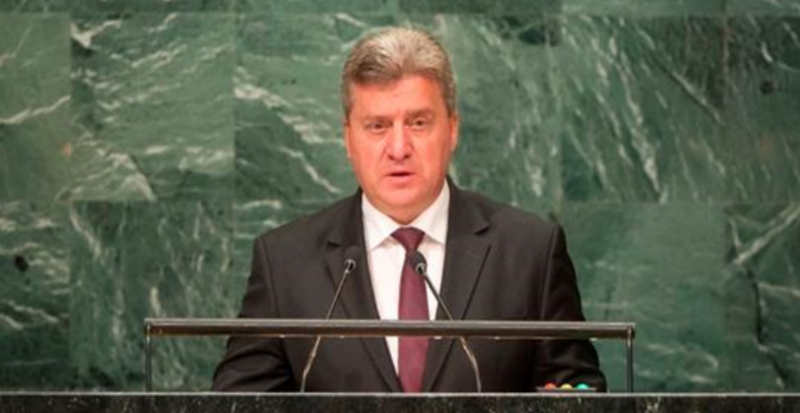 The agreement has been questioned by the Secretary General of the United Nations, and Macedonia’s President Gjorge Ivanov has used every occasion in the UN to explain why the Prespa Agreement is illegal and detrimental to the Republic of Macedonia and the region. He will be delivering a major speech at the United Nations on 23 September 2018, a week before the scheduled referendum on the Prespa Agreement. On 30 September Macedonians will decide whether to become a member of crisis-driven institutions like NATO and the EU. 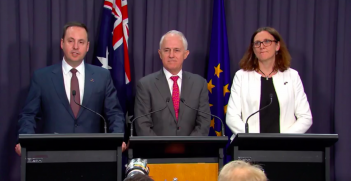 EU-Australia free trade agreement negotiations officially launch this week with the arrival of the EU Trade Commissioner in Canberra. Although the past still resonates, changes to the range and depth of interests and values have resulted in more fruitful relations. 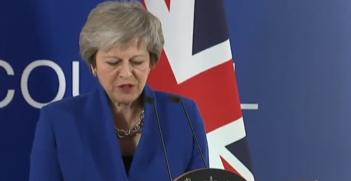 Theresa May’s efforts to negotiate what may be the best deal possible may be rendered futile by intransigence by British Parliament.